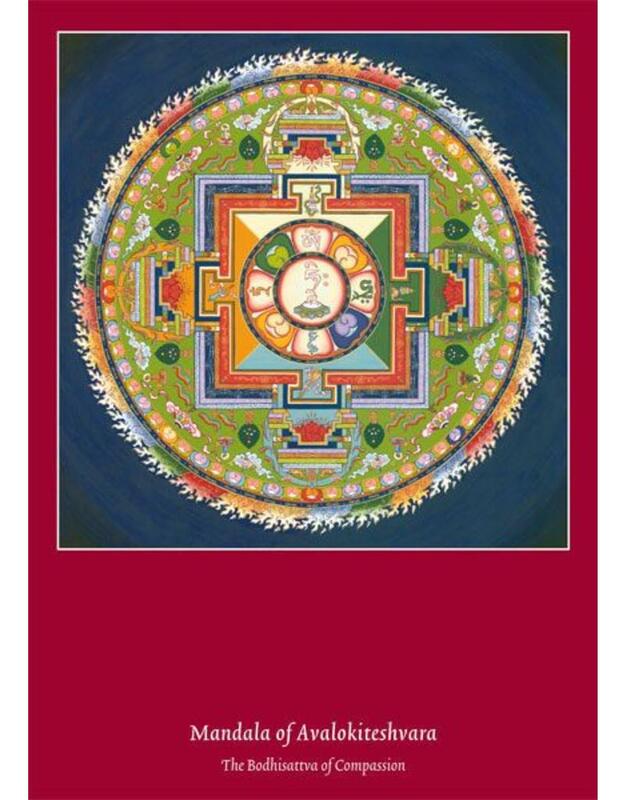 The Tibetan word for mandala, dkyil-khor, literally means 'that which encircles a centre'. 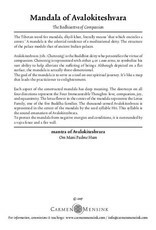 A mandala is the celestial residence of a meditational deity. The structure of the palace models that of ancient Indian palaces. 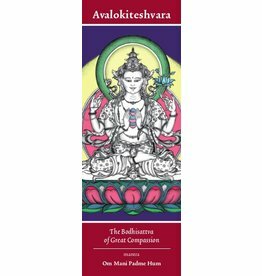 Avalokiteshvara (Tib. 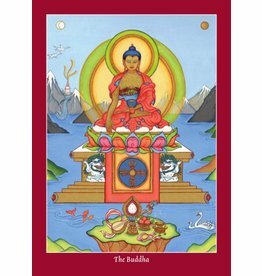 : Chenrezig) is the Buddhist deity who personifies the virtue of compassion. 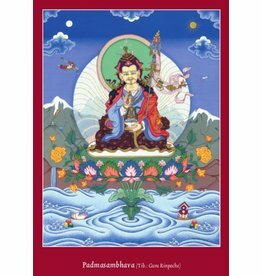 Chenrezig is represented with either 4 or 1000 arms, to symbolise his vast ability to help alleviate the suffering of beings. Although depicted on a flat surface, the mandala is actually three-dimensional. 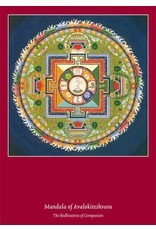 The goal of the mandala is to serve as a tool on our spiritual journey. It's like a road map that leads the practitioner to enlightenment. 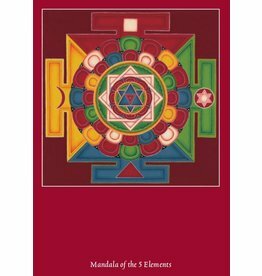 Each aspect of the constructed mandala has deep meaning. The doorways on all four directions represent the Four Immeasurable Thoughts: love, compassion, joy and equanimity. The thousand-armed Avalokiteshvara is represented in the centre of the mandala by the seed syllable Hri. This syllable is the sound emanation of Avalokiteshvara. To protect the mandala from negative energies and conditions, it is surrounded by a vajra fence and the fire wall.